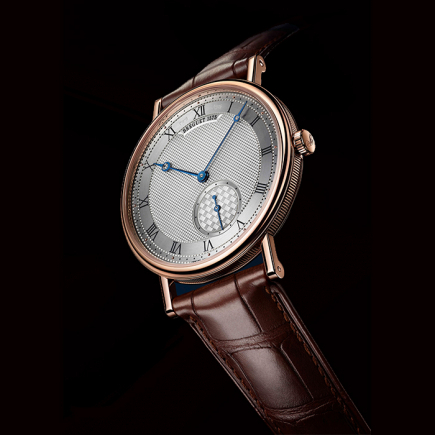 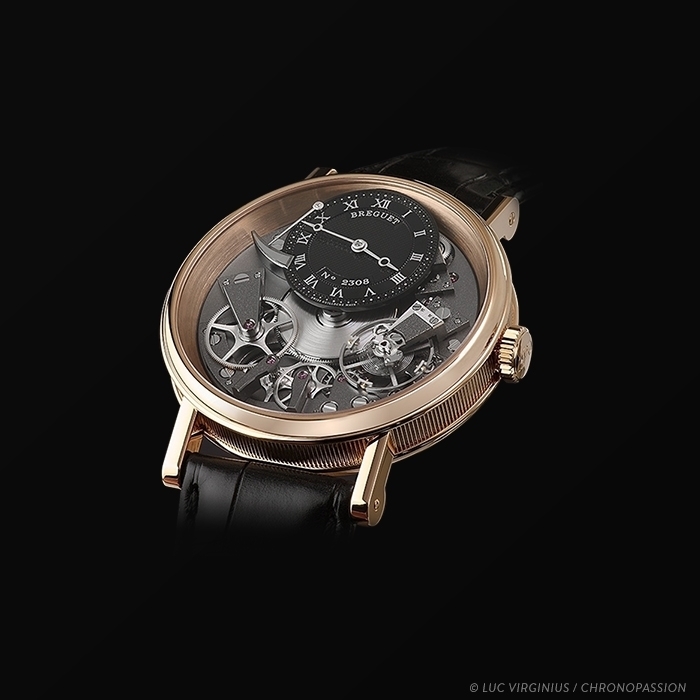 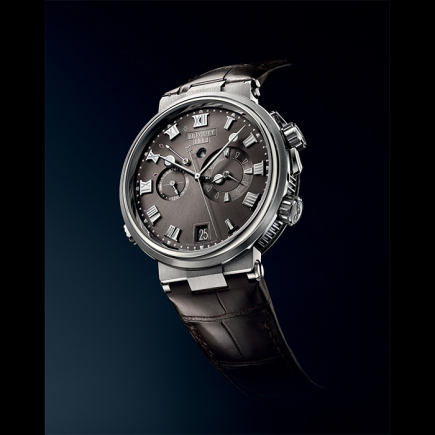 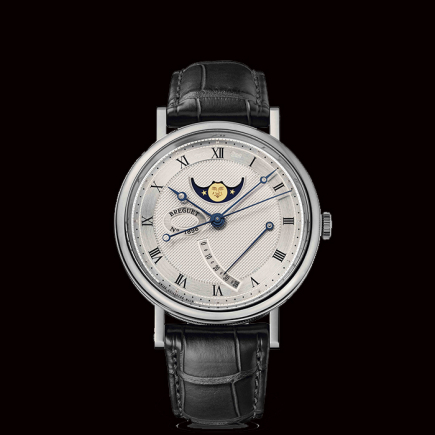 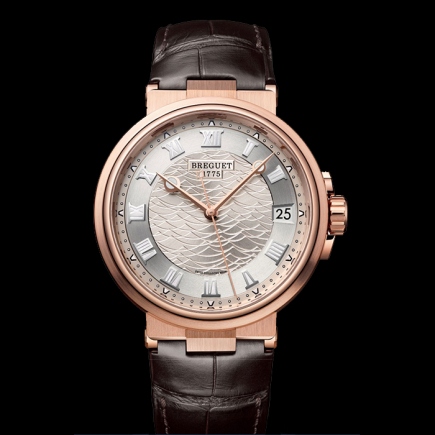 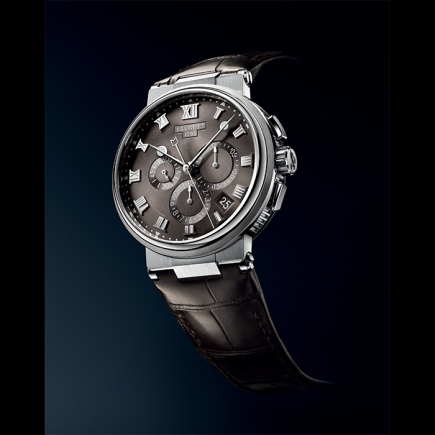 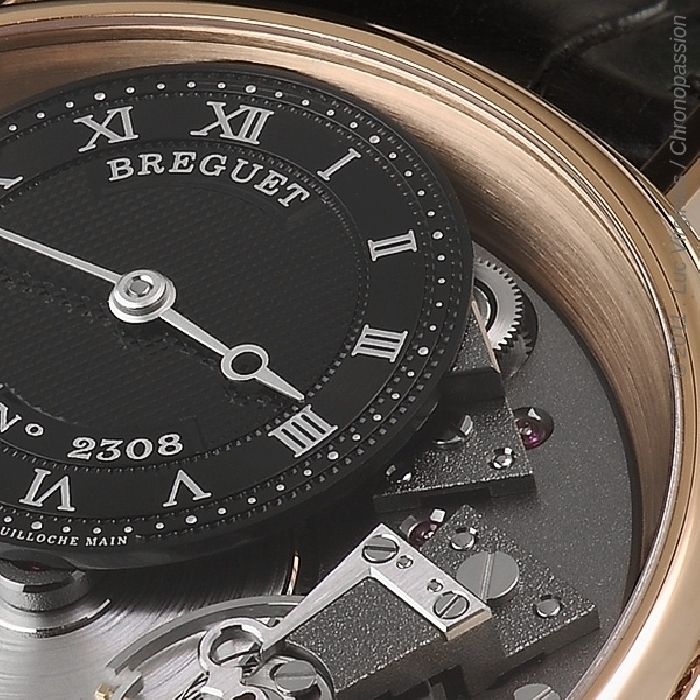 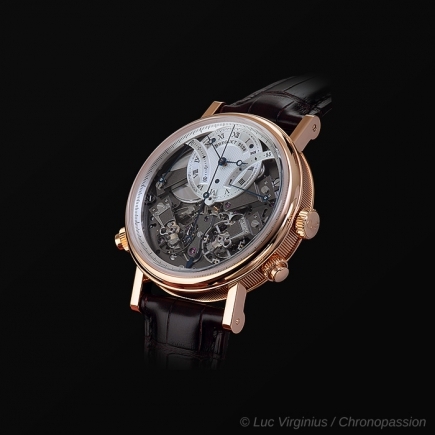 breguet | 26'900 € Tax inc.
As traditional as it is innovative, Breguet’s Tradition is a visionary model that has now entered the very exclusive circle of iconic Fine Watchmaking creations . 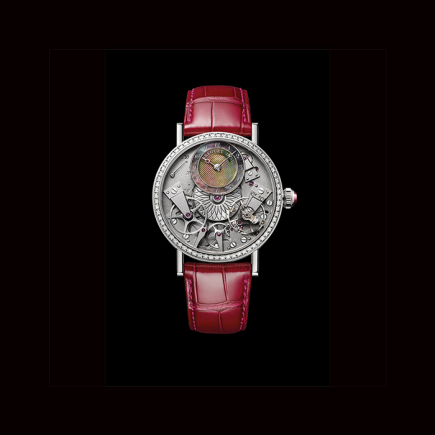 The new version of this timepiece, which has a 40 mm-diameter case middle in 18-carat red gold case features the 507DR calibre with a matt grey NAC finish. 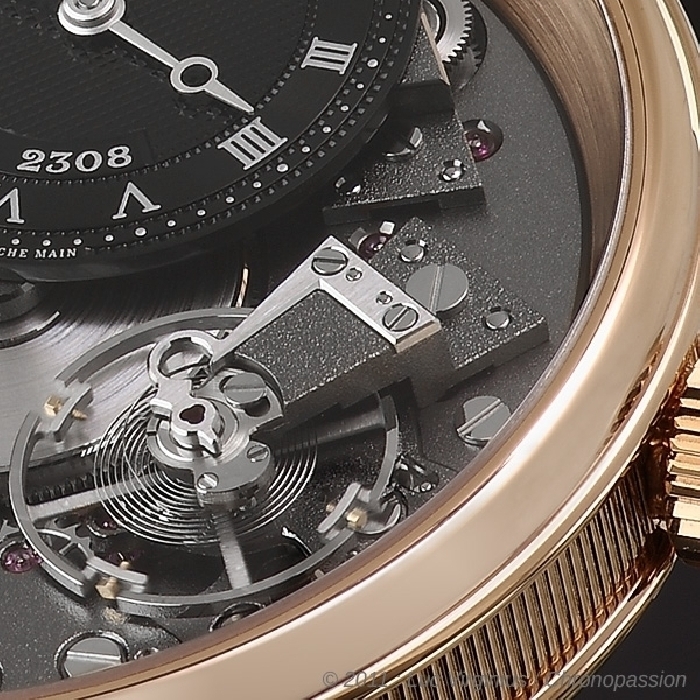 This type of surface treatment deposits a charcoal-grey alloy of precious metals from the platinum family by electroplating . 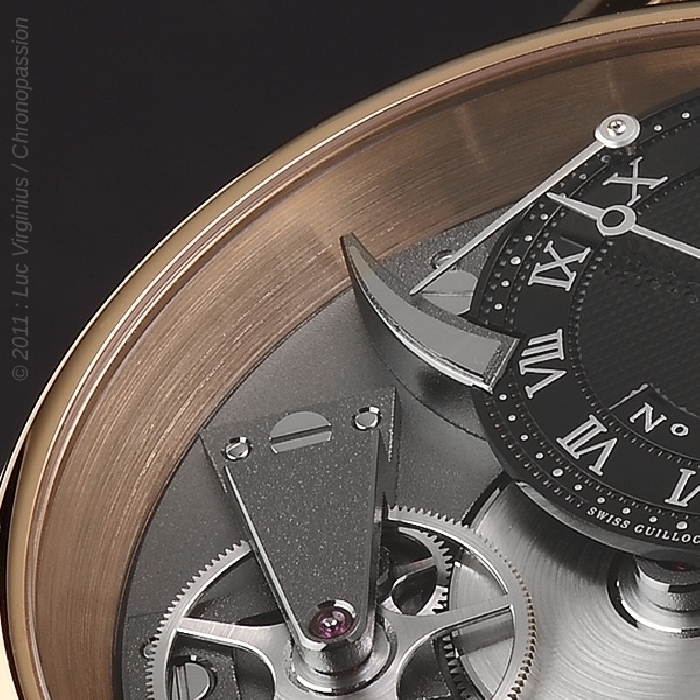 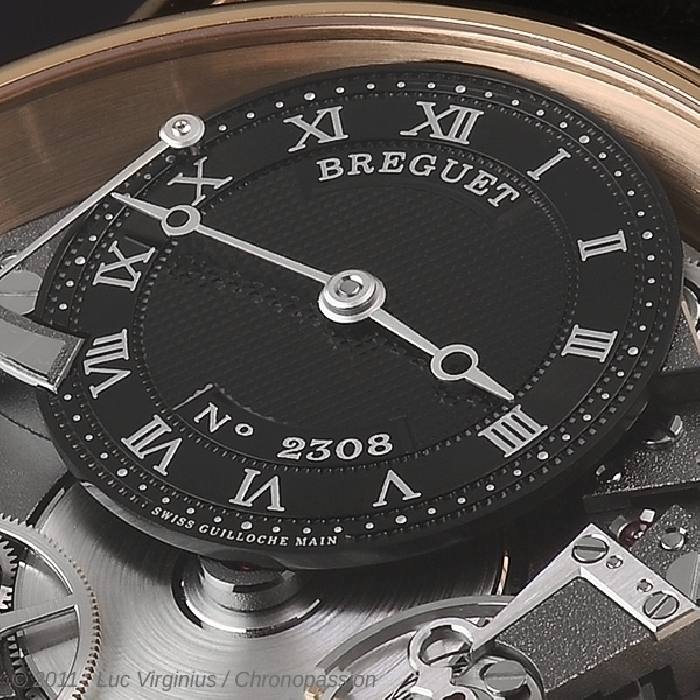 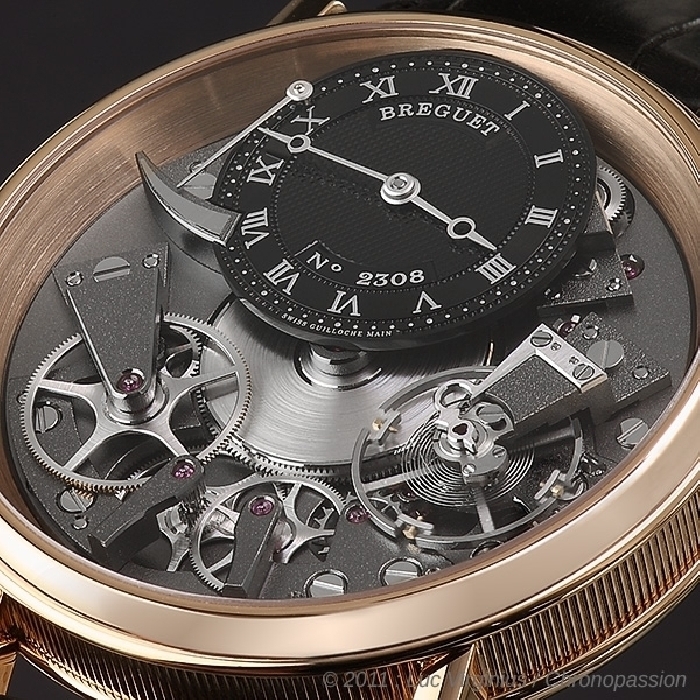 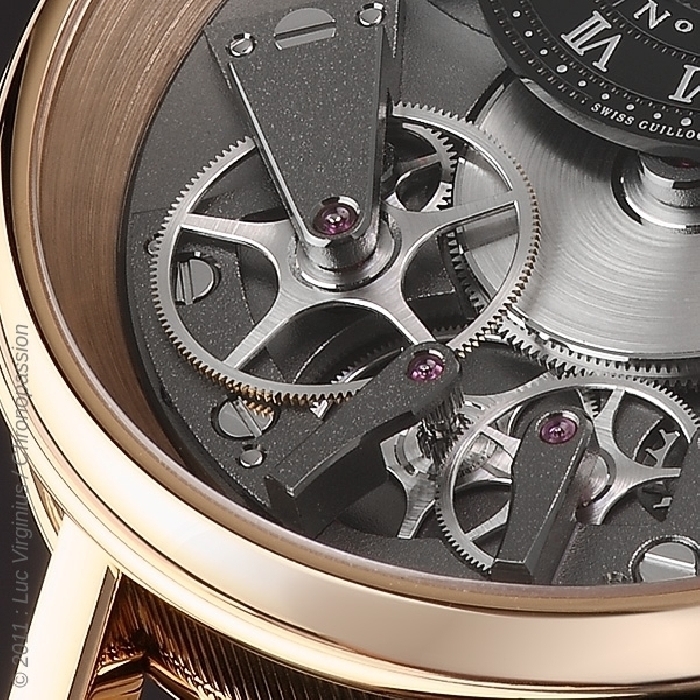 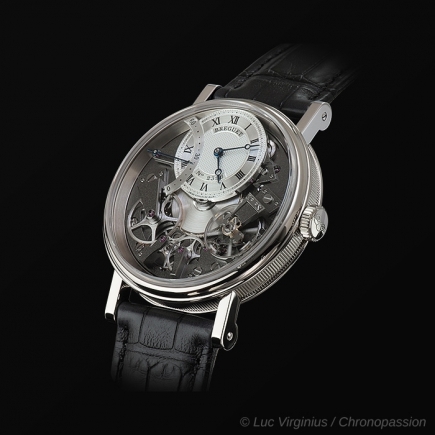 The new Breguet Tradition 7057 highlights in its own way the technical architecture of this masterpiece of micromechanics; in fact, its construction is unique, as the arrangement on both sides of the central plate shows off almost all of the components – bridges, gears, escapement and the fam ous “old fashioned” pare-chuteshock absorber in hand-bevelled steel.